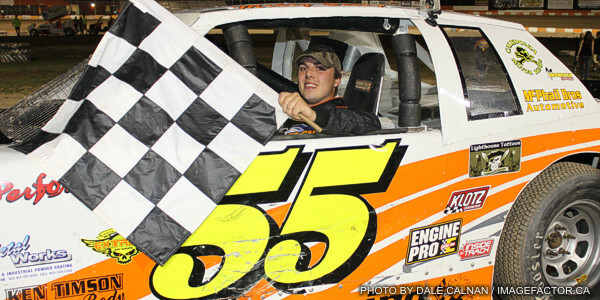 By Tommy Goudge (February 15, 2013) – Drivers and teams from Ohsweken Speedway are hard at work getting ready for the 2013 racing season, which is now 3 months away. 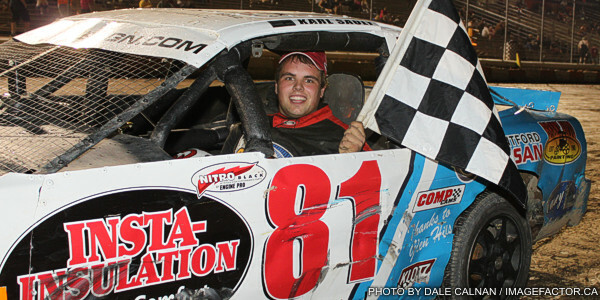 Karl Sault took a break from those preparations to reflect on his past Bomber and Mini Stock championships, and look ahead to his rookie season in the Thunder Stock division in 2013. Karl Sault is just 23 years of age, and already at the top of the list when it comes to Ohsweken Speedway track championships. 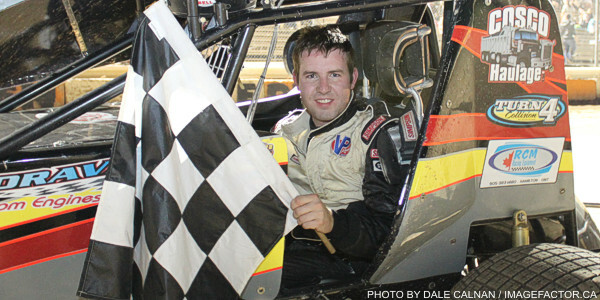 He began racing at Ohsweken in what was then the Friday Night Fun Stock division in 2008, winning 4 feature events. Karl has won a championship in each season since then – 2009 and 2010 in the renamed Bomber division, plus 2011 and 2012 in the Mini Stocks. He’s taking the next step in his career this season by moving up to the Thunder Stock division. About Ohsweken Speedway: Founded in 1996, Ohsweken Speedway is a motorsports complex which includes a 3/8 (0.375) mile clay oval. The facility is owned by the Styres family, and located in the village of Ohsweken, Ontario, Canada. Ohsweken’s weekly Friday night racing program runs from May to September each year, featuring Corr/Pak Merchandising Sprint Cars, Thunder Stocks, HRW Automotive Mini Stocks, and Bombers, while the season finishes each year with the annual Canadian Sprint Car Nationals. Ohsweken Speedway also hosts weekly Micro Sprint racing on Thursday nights, and has also been a yearly stop on the World of Outlaws Sprint Car series schedule since 2007.